Trouts Fly Fishing | #KickPlastic - The Final Haul! #KickPlastic - The Final Haul! While the #KickPlastic Sweepstakes ended on September 31st and the winner of the sweepstakes was announced on Instagram Live on October 1st, that doesn't mean that our collection of old plastic fly cups and containers stopped. 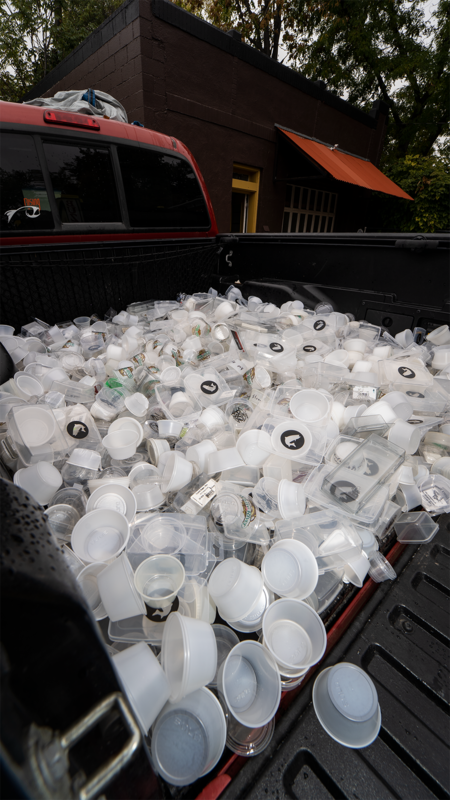 We rounded up a couple more plastic fly cups from some industry friends and took the rest of our backstock of plastic fly cups and dumped our whole haul in the back of my pickup truck. 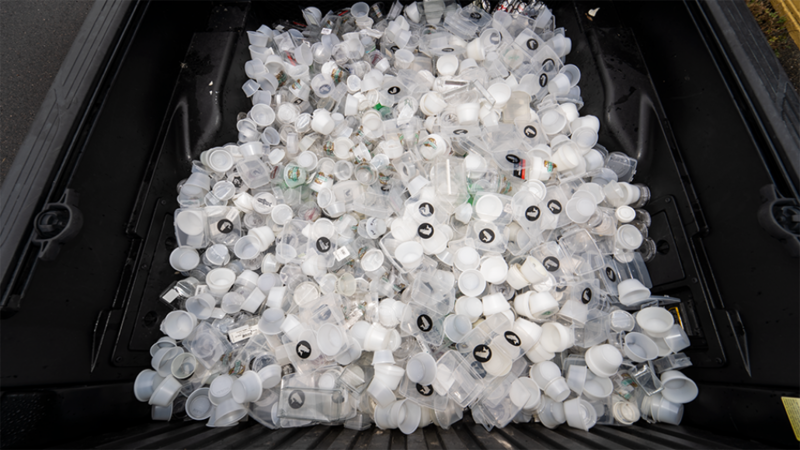 Over 3,000 plastic fly cups set for delivery to the recycling center. All said in done we were able to collect and recycle over 3,000 plastic fly cups. We can't thank everyone enough for participating over the past two months. It was certainly rewarding to drop over 3,000 fly cups for recycling this afternoon. Of course, a special thank you to Sage Fly Fishing and Abel Reels for donating an awesome grand prize package.